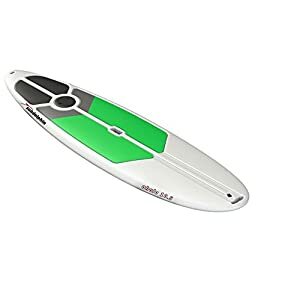 Get yourself the Iconic TWO PIECE SUP Paddle that all the others try to replicate – sought after by SUP Rental companies all over the world for its strong but lightweight aluminium shaft, nylon composite blade, instant & reliable adjustment mechanism, & a super comfortable ergonomically designed handle – all at an amazing price. You can choose to get your paddle with or without a Blade Cover. 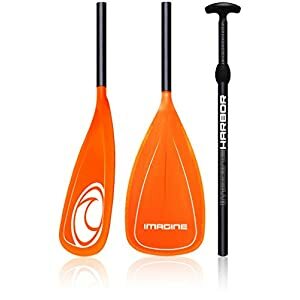 Two Piece SUP paddles are considered `more reliable than Three Piece paddles as they don’t have the second lower joint that can have problems – and they don’t have a second joint where your lower hand sometimes wants to go. They are also lighter – and have fewer places for water to get into the paddle (which can make them sink!). This paddle will always float – even if it has been held under water for 5 minutes. You are welcome to test it! 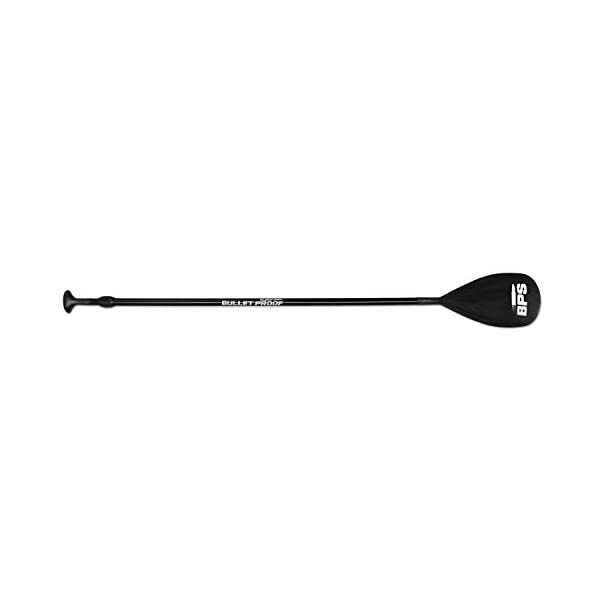 Get yourself the Iconic TWO PIECE SUP Paddle that all the others try to replicate – sought after by SUP Rental companies in all places the world for its strong but lightweight aluminium shaft, nylon composite blade, instant & reliable adjustment mechanism, & a super comfortable ergonomically designed handle – all at an amazing price. You’ll choose to get your paddle with or without a Blade Cover. BPS’s Blade covers (RRP $29.99) have heat reflective internal linings to give protection to your blade when travelling in vehicles or planes, plus to and from the water or when lying in the sun. 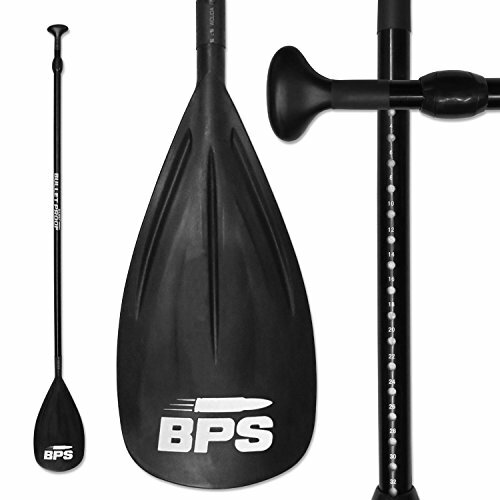 Two Piece SUP paddles are considered `more reliable than Three Piece paddles as they do not have the second lower joint that can have problems – and they do not have a second joint where your lower hand on occasion wants to go. They are also lighter – and have fewer places for water to get into the paddle (which can make them sink!). This paddle will at all times float – even though it has been held under water for 5 minutes. You are welcome to test it! On top of a great paddle every customer gets emailed an E-GUIDE with pictures written by an experienced Paddle Boarder showing you how to instantly adjust your paddle, the recommended paddle length for your height, and all the information you wish to have about the 12-month guarantee – plus how to email us through Amazon for any further questions you may have. (And we answer quickly!) 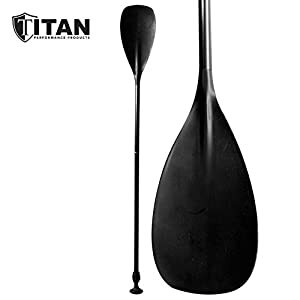 These paddles are stored and shipped (quickly and reliably) to you by Amazon in the US, and easily adjust from 1800mm – 2130mm (71″-83″) to suit almost all paddlers – and separates into two pieces with the longest being 1675mm (66 inches) to make travelling with this paddle quick and easy (excellent for going in the back of vehicles). 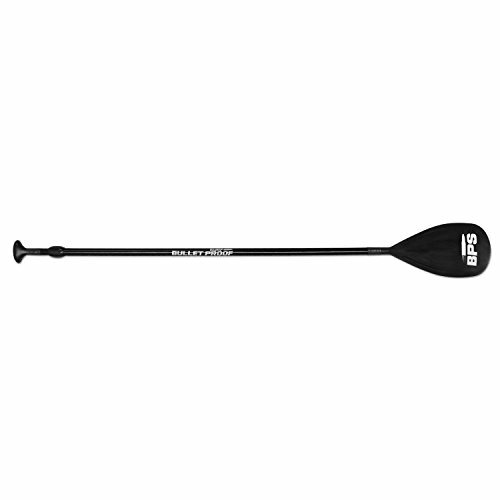 Get yourself the Iconic TWO PIECE SUP Paddle that all the others try to replicate – sought after by SUP Rental companies in all places the world for its strong but lightweight aluminium shaft, nylon composite blade, instant & reliable adjustment mechanism, & a super comfortable ergonomically designed handle – all at an amazing price. You’ll choose to get your paddle with or without a Blade Cover. 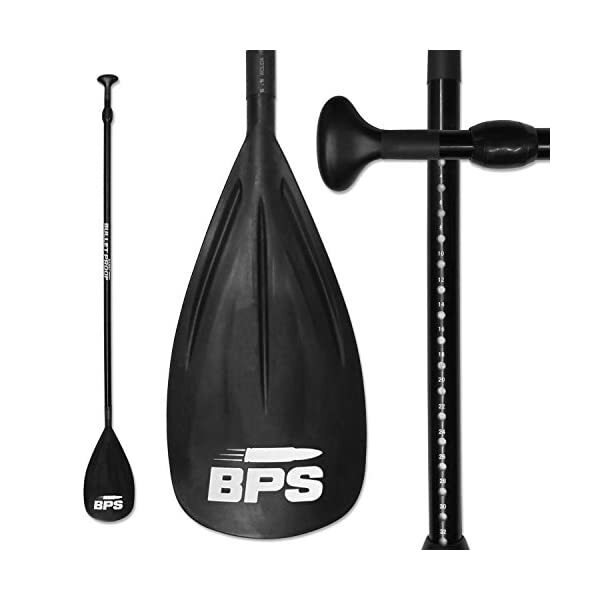 Two Piece SUP paddles are considered `more reliable than Three Piece paddles as they do not have the second lower joint that can have problems – and they do not have a second joint where your lower hand on occasion wants to go. They are also lighter – and have fewer places for water to get into the paddle (which can make them sink!). This paddle will at all times float – even though it has been held under water for 5 minutes. You are welcome to test it! 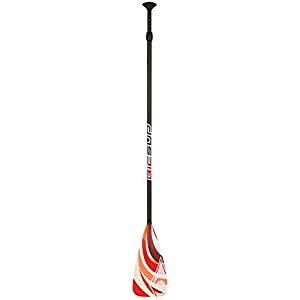 These paddles are stored and shipped (quickly and reliably) to you by Amazon in the US, and easily adjust from 1800mm – 2130mm (71″-83″) to suit almost all paddlers – and separates into two pieces with the longest being 1675mm (66 inches) to make travelling with this paddle quick and easy (excellent for going in the back of vehicles). Thanks for looking at a product from our store – Surf and Snow Warehouse. We are a small family business that ONLY sells what we know and love – water sports gear. We know our products, use our products, and stand in the back of them 100% – So if you have any questions about using any of our products please just ask. Thanks! Amazon.com Price: $54.95 $39.95 (as of 12/02/2019 19:26 PST- Details) & FREE Shipping.